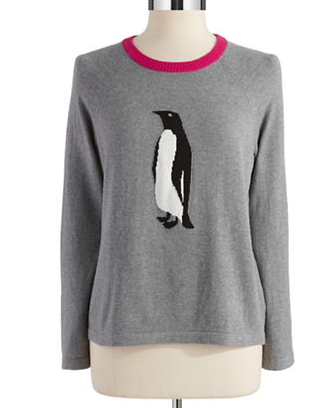 How cute is this sweater with two penguins kissing?! When I came across this sweater I just knew this would make a cute Valentine's Day outfit and that's exactly what I did with this look. I'm a big fan of red and I loved how the red jeans looked against the sweater. It added a great pop of color. This look is simple and chic for some low key v-day plans. Are you guys doing anything? I'm going to see 50 Shades of Grey. I'm not so happy about the guy they casted as Mr. Grey but I still want to see it. Lol. Anyway, I add a faux leather jacket and it instantly added a little edginess to the entire outfit. 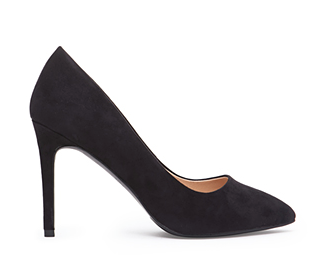 A clutch and black pumps and viola! A easy, simple, and chic v-day outfit without trying too much. Hope you guys have a wonderful and productive week!